At Urban Electric the safety of our clients’ projects and our employees is key. We are proactive about safety, constantly looking to improve our work processes and encourage safe work practices. For this reason, Urban Electric has established a safety committee comprised of field supervisors, employees and insurance company representatives who meet monthly with management to oversee our safety program. A full-time Safety Officer ensures that workplace electrical safety requirements are strictly adhered to. Prior to the initiation of each project, safety risks and hazards are analyzed and controls specific to each work environment are established. During the project lifetime, ongoing safety evaluations are conducted to identify any new potential hazards and determine the need for additional controls. Training is a critical component of our safety program. 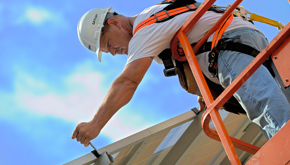 We invest extensively in the training and certification of our employees, making sure that all Urban Electric employees working directly on electrical systems are trained following OSHA Electrical Work standards as well as the National Fire Protection Association’s (NFPA) 70E Standard for Electrical Safety in the Workplace. In addition, our electricians receive additional on site training as well as training developed by the National Joint Apprenticeship and Training Committee for the Electrical Industry (NJATC) in order to keep current with requirements and new technologies. We meet all OSHA reporting requirements, taking care to document compliance with program standards, maintain required records and submit required reports. Urban Electric is dedicated to providing a safe and healthful environment for all employees and customers. As a result of our strict focus on safety, Urban Electric has consistently attained a lower than average Experience Modification Rate (EMR), with no reportable incidents for the past 5 years (2008 – 2012). For more information on additional safety programs provided to our employees, please click on the link below. Joe Davidson | Facility Manager | PPL Corp.